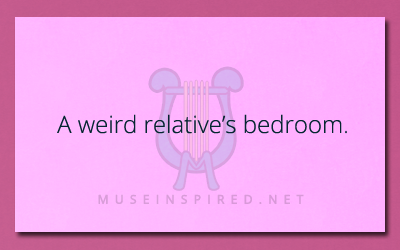 Describe the setting of a weird relative’s bedroom. Why is it so weird? Or is it the relative themself that is weird? Siring Settings - Describe a river camp where gold has just been found.